Roto-Gro World Wide (Canada) Inc., a wholly owned subsidiary of Roto-Gro International Limited (ASX:RGI), has received the first $1 million of the $2.3 million order secured from Miracle Valley Medicinal Alternatives M.V.M.A. Ltd. 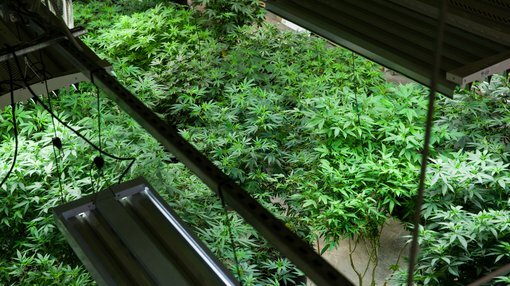 The privately owned Miracle Valley is currently building a 29,000 square foot state-of-the-art cultivation and manufacturing facility in British Columbia, Canada. The receipt of this first payment triggers the production of RotoGro Hydroponic Garden Systems, which are needed to complete the buildout of Miracle Valley’s facility. This buildout is also the final stage for Miracle Valley to obtain its medicinal cannabis production license from Health Canada. RotoGro and Miracle Valley have agreed that the first delivery of RotoGro Hydroponic Garden Systems will kick off at the end of this quarter, with subsequent deliveries being made on a room-by-room basis through the second half of 2018, as Miracle Valley advances its Health Canada license through Introductory Inspection (as cultivation begins) to a License to Sell. Once the facility is completed, it will produce up to 12,000 lbs (5,400 kilograms) of legal cannabis per year, harnessing RGI’s leading-edge patented and patent-pending designs, which provide the lowest cost per gram and the highest yield per square foot in the industry. The facility will utilise cutting-edge growing, building and information technologies to produce industry-leading yields, as well as the highest quality cannabis. RGI managing director, Michael Carli said: “We are very pleased with the collaborative working relationship we have with Miracle Valley as it commences build-out, delivery and installation of our patented RotoGro Hydroponic Garden Systems. It’s worth noting here that RGI is an early stage play and investors should seek professional financial advice if considering this company for their portfolio.